Happy Thanksgiving, everyone! 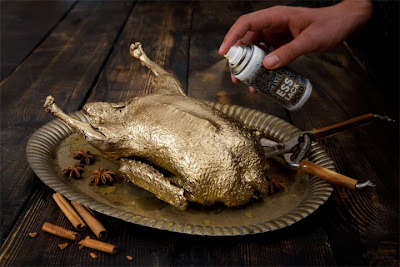 Look what I found to spice up your boring ol' Turkey Day: edible metallic food spray finish. So yes, the gold and silver apples do look kinda rad, but the pinkish cupcake? Not so tasty. The gilt turkey? Why? Just why?